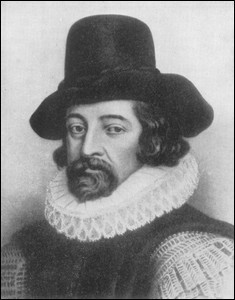 English philosopher, statesman, scientist, lawyer and author. "Hope is a good breakfast, but it is a bad supper." "Reading maketh a full man, conference a ready man and writing an exact man." "Discretion in speech is more than eloquence." "He of whom many are afraid ought to fear many." "In taking revenge, a man is but even with his enemy; but in passing it over, he is superior." "Silence is the virtue of fools." "The worst solitude is to be destitute of sincere friendship." "Some books are to be tasted, others to be swallowed and some few to be chewed and digested." "By far the best proof is experience." "Praise from the common people is generally false, and rather follows the vain than the virtuous." "In this theater of man's life, it is reserved only for God and for angels to be lookers-on."